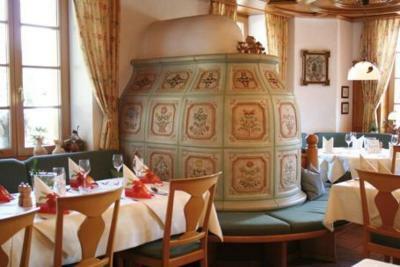 Lock in a great price for Hotel Gasthaus Blume – rated 9.2 by recent guests! Everything! Great service and the rooms are very clean and spacious. The staff is super friendly and attentive. 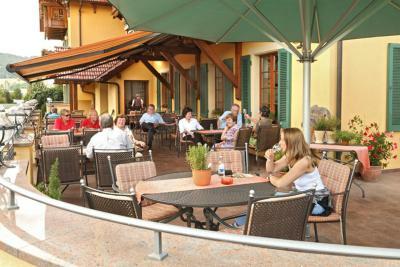 The terrace is perfect to enjoy a cold beer after one of the many day trip options in the Black Forest. And make sure you eat at the restaurant, lots of local delicacies on the menu. Staff were friendly and welcoming. 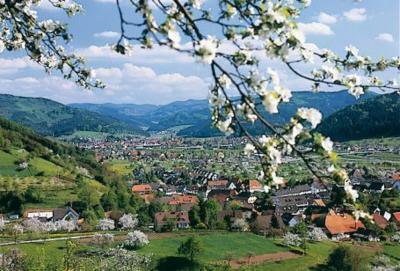 This is a good place to start exploring the Black Forest. A spa hotel with a pool and an underground garage. We had dinner there and they catered very well for two vegetarians. Fresh ingredients and beautifully cooked. The breakfast was excellent also with a wide choice available. The hotel owner made guests individually welcome. Everything was excellent. Safe and secure parking. All the staff were very nice, special mention to the lady in the bar who was super skilled at cocktails and very friendly. Food was superb, well presented and great value. Couldn't really fault anything, we will be back. Amazing facilities, Pool was unreal. Room was lovely friendly staff. Great food, Great location will definitely stay again. The view from room 311 was beautiful - facing the hillside with gardens in the foreground and kites and storks flying above the treeline, and deer, goats and cows grazing. The sauna had drinks and fruit provided. 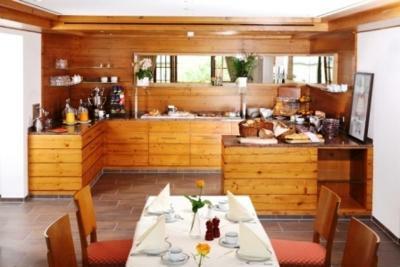 Amazing and smiling staff, very good restaurant, wonderful swimming pool and thermal area, outstanding breakfast with homemade marmelate, extra-frisch eggs and a lot more. Very nice view from the rooms on the backside. Relaxed environment. Hotel is a super clean. Nice location. Room with balcony and beautiful views. Excellent shower. 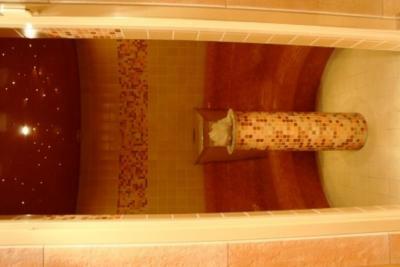 Wonderful facilities, swimming pool sauna... Lift is great for people with lagguage. Breakfast simple but still good. 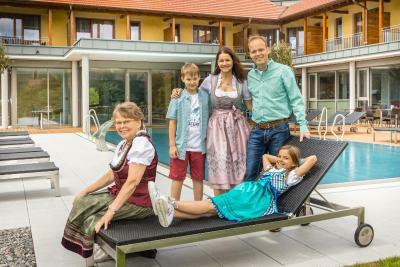 Featuring a sauna area and a traditional restaurant, the Hotel Gasthaus Blume offers country-style accommodations in the heart of the Black Forest. 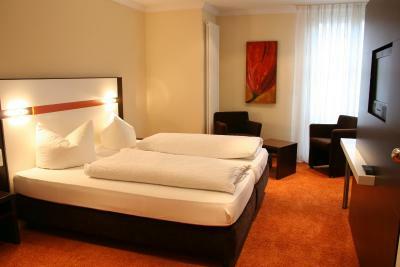 The hotel offers a buffet breakfast, 3 terraces and free WiFi. 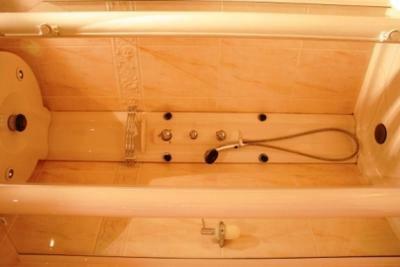 The wide selection of rooms on offer at this family-run hotel are elegantly decorated and feature a modern bathroom. Some of the rooms also include a balcony. 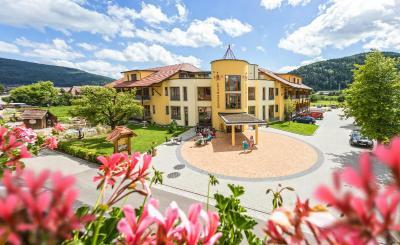 The Gasthaus Blume is an ideal base to explore the many hiking and cycling trails in the surrounding Black Forest Nature Park. 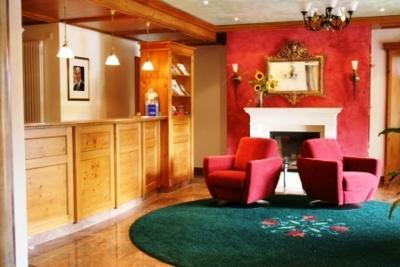 The hotel is a 10-minute walk from the Freibad Haslach water park and 15 minutes from Haslach Train Station. Private parking is free for guests at the Gasthaus Blume. The city of Freiburg and the Europa-Park in Rust are both within a 40-minute drive. 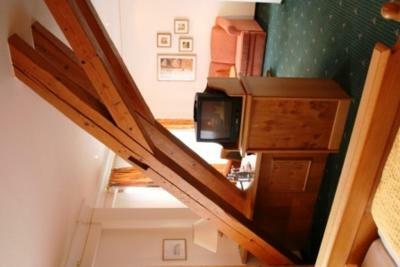 This property is also rated for the best value in Haslach im Kinzigtal! Guests are getting more for their money when compared to other properties in this city. 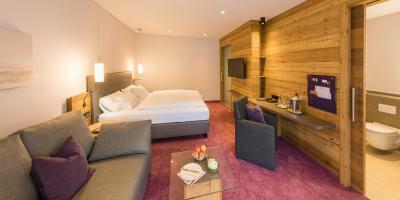 When would you like to stay at Hotel Gasthaus Blume? 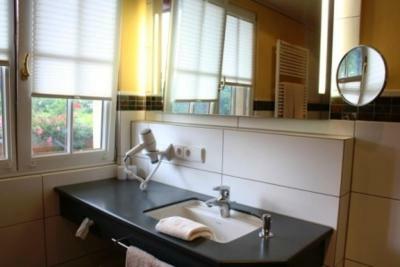 Elegantly furnished room including a private bathroom and a hairdryer. Some rooms have a balcony. This spacious room also includes satellite TV and a desk. 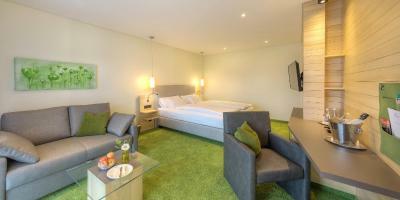 Elegantly furnished room including a private bathroom, satellite TV and a desk. This spacious room also includes a seating area and a balcony. Elegantly furnished suite including satellite TV and a private bathroom with a spa shower. This suite also includes a living area and a balcony. 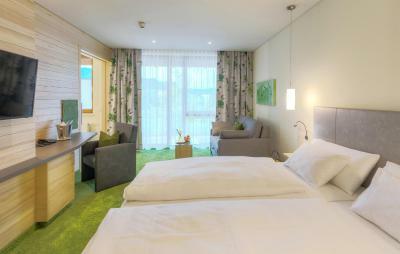 This spacious room also includes a seating area with a sofa bed and a balcony. House Rules Hotel Gasthaus Blume takes special requests – add in the next step! 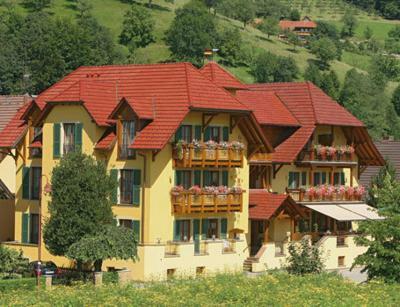 Hotel Gasthaus Blume accepts these cards and reserves the right to temporarily hold an amount prior to arrival. The only thing we missed was an outdoor play area for our son, but they do have a playroom downstairs for kids with lots of toys. Everything ! Everything was excellent ! Nothing at all. Some people may not like the breakfast and bar being in the building opposite, but it never bothered us. Our bedding covers and the pillow covers were not fresh. It seems like the hotel did not changed them. And it was very hot day and we had to keep the window opens in the night. And the room faces to the street and and we could not sleep in the night because of the noise from the street. Couldn't fault this family-run establishment. I actually liked everything. Although the environment is very quiet, it's not in the middle of nature. Haslach downtown is 15/20 minutes away by feet. There are a couple of factories at the same distance - you won't see them from the house though.